Meresss awalon kaaaa jawab do...!“ Ying Sheng Wong, 70, is doing a pretty good job of hollering that peremptory refrain from the hit film Maine Pyar Kiya in his somewhat disjointed Hindi, and the Indian Chinese gathering around him in Toronto erupts in laughter and applause. But the reason they have banded together is not at all cheery . They call themselves the Deoliwallahs, 60 men and women with some really tragic stories to tell about a tumultuous phase of Indian history . The year was 1962, and between October and November, India and China were caught in a short but intense war. So acrid was the anti-Chinese sentiment in India that a whole lot of innocent Indian Chinese, mostly in the Dooars and Assam, were surprised by its savagery .Some had married local women, and most spoke only local languages. They were more Indian than Chinese with businesses and lives firmly entrenched here. Suddenly , they became potential “traitors“. Soon, under a new ordinance, the midnight knocks began to be heard across the homes of Indian Chinese, especially those living in Darjeeling, Tinsukhia and Shillong. Entire families were bundled into trucks and transported to railway stations where began a seven-eight day train jour ney to an abandoned PoW camp at Deoli, Rajasthan. In some cases, the families were separated: the men deported to China, mother and children stuck in Deoli, the grandparents elsewhere, say accounts. The war wrapped up in a month but many of those interned remained in the jail for up to five years. When the families returned, they found their homes and businesses confiscated and plundered. Some of them tried to cobble their lives back together but many left for the West, mostly Canada and the US. Now, 53 years later, these survivors and their families are trying to find some answers, and perhaps an apology for that painful episode that turned their world upside down. On October 6, at Delhi's India International Centre, some of these Deoliwallahs will be participating in an event recalling the events of 1962. The dramatic story of the Deoli internment and the suffering it caused has been surfacing in many forms in recent years. 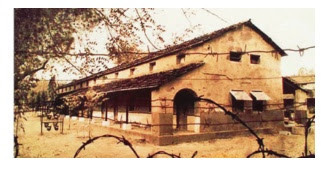 The survivors have formed a very active and vocal Association of India Deoli Camp Internees 1962 (AIDCI). Earlier this year, Beyond Barbed Wires: A Distant Dawn, a documentary by Indian photojournalist Rafeeq Ellias that tells the story of the internees, was released. 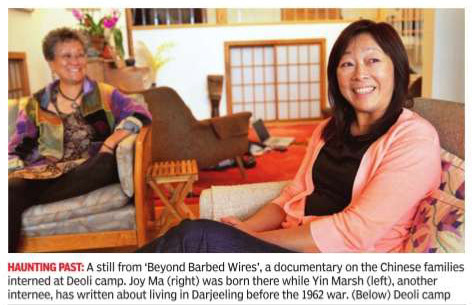 Another Deoliwallah, Yin Marsh, 66, an artist from California, wrote Doing Time With Nehru two years ago on her life in Darjeeling as a child before the war of 1962 and of her family's internment at Deoli Joy Ma, another participant at the IIC event, is writing her memoirs. And before all that, five years ago, there was `Makam' the Assamese bestseller by Rita Chowd hury on the Indian Chinese community in Tinsukhia which saw many tragedies in the wake of the war. It may all seem very distant in history but the unfairness of being made victims of a war that wasn't theirs still rankles. “I was just six but what I do remember is the . look on my parents' faces when we were led into the train. It was a look of disbelief, hurt, grief, fear. I didn't know what it meant , then but today , it hits me really hard,“ says Michael Cheng, 59, who now runs a restau rant in North Carolina. Cheng's father had migrated to Darjeel ing from Guangdong and set up a chain of , flourishing businesses -a shoe store, a restaurant, a lodge. He was big on the horse racing circuit and owned a horse. All that came to an end for the family of 13 in 1962. 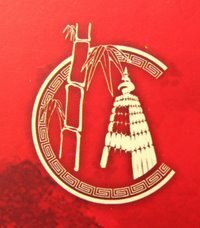 When the Cheng family was released, they were simply dropped off at Chinatown in Kolkata and ordered not to return to Darjeeling. Kind relatives took the family in and Cheng recalls sleeping on an ironing board. Slowly the Chengs put their shoe business together, and by the '70s managed to return to Darjeeling. But it was never the same again, and the Chengs migrated to the West. “My brother who still misses India often says `I wish this war never happened',“ says Cheng. Wong was much older when he was taken to the camp along his six siblings, just a day after the war ended. At 17, he recalls the humiliation of the three years at the camp, the heat, the terrible food and the aftermath. His father, who came from the Wangchu in Canton, was running Attun and Sons, a popular shoe shop at GS Road in Shillong. He died a painful and mysterious death at the camp at age 48. “After we were released, we got Rs 1.50 every day till we reached Shillong to feed ourselves and we would only spend 50 paise on food.“ The shoe shop reappeared as Latest Footwear in Burra Bazar but the fear of fresh hostilities never went away and the family moved to Canada. Journalist Joy Ma, who was actually born at the Deoli camp, says the saddest aspect of the events of 1962 was how well assimilated the Chinese community in India was. “Even today, at the family shrine, some people keep paan and beedi as offerings to ancestors like they did back home in India. They were part of local communities, married to local Indian or Nepalese women; many hadn't even set foot in China,“ she says. Her family were prosperous furniture contractors in the Dooars, and the ignominy of having to be dependent for every little thing at the camp hurt deeply. “People were told it was a short trip and they would return soon so they didn't take much along. The camp was not ready for so many . When they first arrived, some had put out their shirts for the dal to be ladled into,“ Ma says. The survivors and their families, still trying to make sense of the events that tore their lives apart, are hoping for a small memorial at Deoli to make sure that the episode is not forgotten.